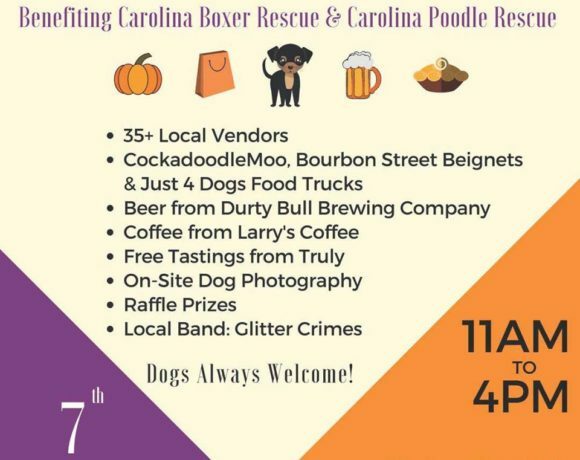 Carolina Poodle Rescue is proud to be a featured vendor at Woofinwaggle’s Fall Sip & Shop! Kick of Fall with Woofinwaggle & Purr and Bark at our Sip & Shop Event. Enjoy a fun & relaxing shopping experience! Join us for the Fall Sip & Shop Event on Sunday, October 7th from 11am-4pm. Spend your Sunday in a fun way supporting local business and adoption agencies while finding some new products and services for yourself and your pup. Enjoy alcoholic beverages while you browse, meet artists & crafters, and feel free to bring your dog along for the fun! There will be food truck vendors for you to enjoy tasty treats that have been showcased throughout the Triangle as well as live music and more!